Jao Ying is an Asian elephant that comes from the Province of Tak, east of Thailand. She has had a difficult life, with her owner mistreating her to make her a domestic animal. Once trained to that she can be controlled, usually beaten with a bull hook, she was placed in the logging trade, moving and carry heavy teak trees to the river, every day for 5 years. 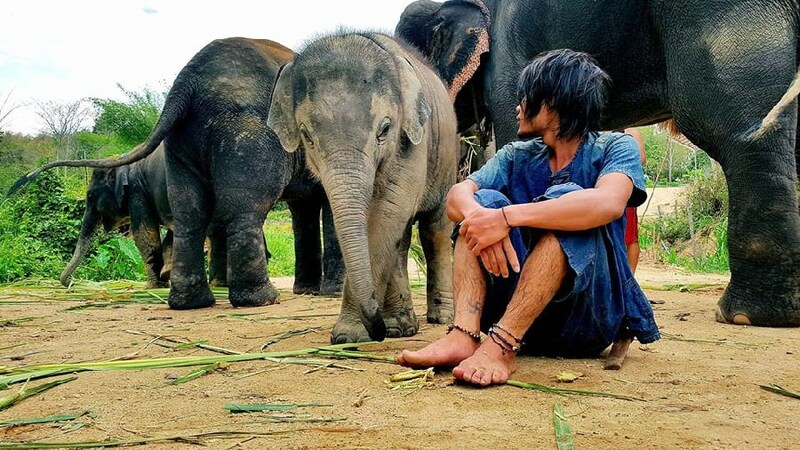 When the Thai government banned the use of elephants in the logging trade, Joa Ying did not have time to rest. She was then placed in a circus to perform tricks for tourists on a daily basis. To learn these tricks, she was once again beaten as a form of training, slowly draining the spirit of the elephant. She would be made to work every day with little food and rest and she did this for 10 Years of her life. Through all this hard work for more than 15 years of her life, her body could take no more and one day she collapsed. This was at the age of 35 years old, not even half the age of an average Asian elephant. Once we heard the horrific news of Jao Ying treatment, we made a visit to the province of Tak to go meet her. When we arrived, we we’re shocked to see the condition she was in, she was still very underweight, and under fed. Her feet were in such bad condition, she had much difficulty to even walk. We made the discussion, to then save her and bring to the Elephant Retirement Park. Once she arrived at the park, the first thing was to give her the best medical treatment possible and to get her used to her new environment. After a few days with us, we could start to see the difference in her body language and personality, but was still drastically underweight. We made sure that she had all the food and rest she needed to get her back to the weight she should be. We are happy to say that she has settled in with the family at the elephant retirement park and is becoming a favorite with staff and visitors of the park.